SAP or SIM Access Profile: This feature allows your Bluetooth Headset to get connected to a SIM card of a Phone which is Bluetooth enabled. It also allows your car phones which have built in GSM transceivers to connect with your Bluetooth enabled mobile phones. Hence, your car phone may not be in need of any separate SIM card. A2DP or Advanced Audio Distribution Profile: This feature is also known as Stereo Bluetooth Headset Profile. 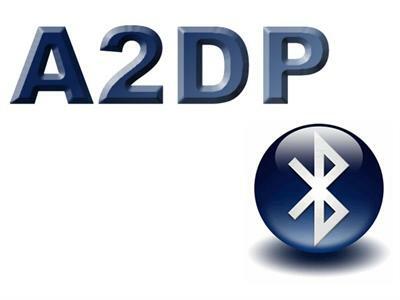 A2DP transmits a double channel audio through a stereo Headset. This technology is much popular with music phones because of the wireless stereo connectivity. Through this feature, you can respond to calls as well as switch to your music just by touch of a button. OBEX or Object Exchange Protocol: This feature is a transfer protocol. OBEX or Object Exchange Protocol depicts both data objects and communication protocol. It also denotes two gadgets using the above to exchange data and communication. Bluetooth technology supports only OBEX which are connection oriented. AVRCP or Audio / Video Remote Control Profile: This feature is the standard format meant for controlling TVs and other high fidelity equipments etc. This interface enables an user who has access to many Audio Video gadgets using a Single Remote Control or any other device like that. The depiction on how to control various features of a streaming media is done by AVRCP. Few of the remote controlled AVRCP options are volume control, playback, pause and stop. SYNC or Synchronization Profile: This feature is a mediator profile with GOEP or Generic Object Exchange Profile for synchronizing personal information manager items like calendar or address information between various Bluetooth enabled gadgets. The day today exchange of data between a PDA and a computer is a classic example of this feature. Also Read: How does a Bluetooth headset work? DUN or Dial-up Networking Profile: This feature uses the Wireless Bluetooth technology to get access to various dial-up services and also to the Internet. A classic example of this feature would be access to remote data or internet using your Laptop or your Smart Phone. HFP or Hands Free Profile: This feature is the gateway device through which you make or receive calls meant for a hands free gadget. The best configuration can be defined as the car phone operated using our mobile as the gateway device. Generally be it an automobile or be it your home, the HFP feature is using the Bluetooth Wireless Gadget as your speaker or for transmitting your receptions. The above are few advanced features that are used in Bluetooth Headset devices. Therefore, while you choose your best gadget in Bluetooth Headset, please take care to pay attention to the above features and choose the best one that suits for you.